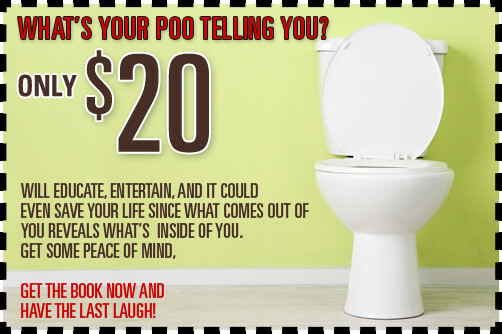 Sydney Plumbing Services » What’s Your Poo Telling You? We all poop – daily. Some of us do it twice a day or several times a day. The medical community says that if you don’t visit the toilet for number two at least once a day, your body’s plumbing might be getting blocked. Even if you’re regular, it’s a good idea to have a quick look before you flush it down the toilet. So what is your poop telling you? Are you too busy to listen? C’mon, let’s get serious here. Dr. Anish Sheth, also known as “Doc Stool,” reckons from time to time getting up close and personal with your poop can teach you a lot more than you think! Squat Down and Take A Look. By studying what’s in the bowl, you can learn about your health and wellbeing. Is your poop a floater? You might have a build-up of gas. This book is educational and hysterical at the same time. 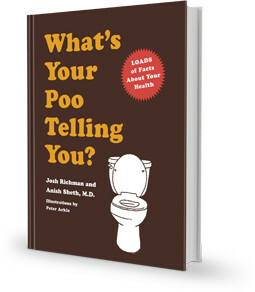 You will learn more about poo while you poop (the book is great reading in the toilet)! Now Dr. Anish Sheth is not your regular author. He is a scientist, a doctor. He knows his stuff. He is currently an attending physician at the University Medical Center at Princeton University and a member of the American Gastroenterology Association. 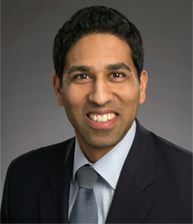 Dr. Sheth is the recipient of various honours including the American College of Gastroenterology Clinical Research Award (2007) and the American College of Gastroenterology Clinical Research Award (2008). You can say this guy knows his S_ _ t.
What’s Your Poo Telling You? combines humour with accurate medical explanations and great advice so you can understand every type of poo.